Grew Up... excelling at school; Harry Kim in many ways was the model young man of the 24th Century. Kim graduated top of his class in Starfleet (class of 2370) and was quickly placed on a starship thereafter. Living... aboard the U.S.S. Voyager, Starfleet’s latest ship. Though far from home, Ensign Kim has not succumbed to the same degree of melancholy as his fellow crewpersons. His compassion for others and general talent and adaptability make him an asset to Voyager. Profession... operations officer for Voyager. Ensign Kim’s first posting sees him guiding Voyager through the Delta Quadrant, after the ship was lost in the Badlands and transported against the crew’s will. For Harry, he has taken his training to heart and is a well-rounded, competent officer who is ready for everything. Interests... music, friendship and women. Harry played clarinet in the Juilliard Youth Symphony back on Earth. His talent for music is sure to bring peace to a crew in distress. Harry often accompanies his best friend, Tom Paris, on holodeck excursions, and Harry’s soft spot for the Delaney sisters (fellow crewmates on Voyager) may land him in trouble – or on a date! Relationship Status... single. Harry left home – and a girl named Libby – behind on his journey to Voyager. But the Delta Quadrant will present many distractions for Harry and it may be hard to pursue romance on the ship. Harry is sure to try anyway! Challenge.... survival. 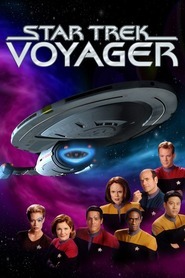 Harry Kim wants more than anything to guide Voyager back to Earth, back to his parents whom he misses and back to safety. If he keeps a steady enough head, Harry’s talents will prove invaluable. Yet, there’s a lot out there that this young, fresh Starfleet grad has not yet seen. Harry believes he is up to the challenge. Harry Kim's popularity ranking on CharacTour is #3465 out of 5,000+ characters. See our top-ranked characters and read their profiles.